influence the development of high quality policy and legislation in their area of interest by contributing to relevant RMLA submissions on those matters. To learn more about the RM Knowledge Hubs and what they can provide for you, come along to this workshop – be prepared to learn and share ideas. 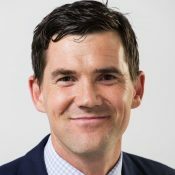 His previous roles included General Manager at Westpac NZ, Chief Economist at the National Bank of NZ, and lecturer in Economics at Victoria University of Wellington. His academic fields of specialisation were in Monetary and Financial Economics, International Finance, Econometrics, Corporate Accounting and Finance. His current research interest is in public policy – an integrated approach to economic, environmental and social policies towards improving intergenerational wellbeing. Eugenie’s passion for nature and a healthy environment continue to drive her work. She wants our 100 % Pure NZ brand to have integrity and a greater recognition that nature is at the heart of our economy. Eugenie entered politics through campaigns for the protection of Canterbury’s rivers and groundwater and was elected to the Canterbury Regional Council in 2007. She says National is partly responsible for her becoming an MP, after Ministers removed elected regional councillors in 2010, and Green Party members encouraged her to stand successfully for Parliament in 2011. 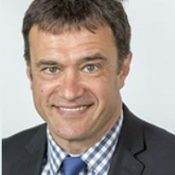 Environment Minster Hon David Parker grew up and studied in Dunedin, graduating with a BCom/LLB from the University of Otago. 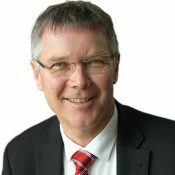 He had a long career in business and law before being elected to Parliament as Labour Member of Parliament in the former electorate of Otago in 2002. In his earlier years, David was a managing and litigation partner in South Island law firm Anderson Lloyd. He was also involved in many businesses, including innovative bio-tech export start-ups A2 Corporation, BLIS Technologies, Botryzen and Pharmazen, as well as in more traditional industries. He is an experienced CEO and company director. David was appointed to Cabinet in 2005, and served as Minister of Energy, Climate Change, Transport, State Services, Attorney-General, and Land Information under Helen Clark’s Government. In Opposition, he served as Deputy Leader, Shadow Attorney General, and in Finance, Economic Development and various other roles. His focus has always been, and remains, on delivering prosperity and fairer economic outcomes for all New Zealanders. 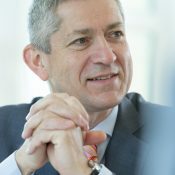 Christian Scharff has served as President of Luxembourg’s leading corporate responsibility network – “Inspiring More Sustainability” (IMS Luxembourg) – since its creation in 2007. This organisation gathers 120 members which account for over 15% of the country’s working population. Through various innovative programs, IMS is very active on the many aspects of sustainability. As one of the 3 historic partners together with the Ministry of the Economy and the Chamber of Commerce, it has been particularly involved in the design and follow-up of the Third Industrial Revolution national strategy, aiming at transitioning the country to a post-carbon economic paradigm, a first at nation level. Christian Scharff sits at the Third Industrial Revolution Strategic Monitoring Committee. A strong supporter of social cohesion, he has also been President of the Committee for the Diversity Charter Lëtzebuerg since its set up in 2012. His commitment to sustainability and inclusion in Luxembourg and the Grande Region has been honoured as he received the prestigious gold medal of European Merit in 2010. After nine years as Director of Human Resources and member of the Executive Committee of Dexia BIL in Luxembourg, Christian Scharff joined PwC Luxembourg in April 2010 as a partner in Advisory, Human Resources Services. Recognized specialist in Human Resources Management, Christian Scharff has developed an expertise in addressing challenges related to the digitalisation of the work market, the accelerating skills obsolescence, and companies’ people management. Christian Scharff holds a Bachelors’ degree in management of Human Resources from HEC SAINT LOUIS in Brussels, a postgraduate degree in Management from the Business School Solvay in Brussels and attended an Advanced Management Program in INSEAD in Paris. Ever increasing environmental and socio-economic uncertainties make us face the limits of the carbon intensive economy prevailing until now. Today, a transition is underway, heading towards a real paradigm shift, with Luxembourg being the first country to prepare for the change at the national level. In close collaboration with the American economic and social theorist Jeremy Rifkin, the Luxembourg Third Industrial Revolution Strategy has been defined to set the main guidelines for the development of a new sustainable model for the country. Taking us towards smart solutions in all sectors, digital technologies will play an increasingly decisive role and lead us to an interconnected world requiring less resources and energy; a smart economy at full speed, leading to the optimisation of resources management and the increase of our quality of life. Such a change in model supposes a complete transformation of knowledge and competencies within the workforce. With the accelerating skills obsolescence, a main challenge today consists in ensuring nobody gets left behind and everyone gets the chance to contribute to this transition towards a sustainable future. Stephen has wide environmental consulting and management experience in New Zealand, Asia and the Pacific. He has considerable experience working with clients in all fields of environmental planning, and in the management and co-ordination of multi-disciplinary professional service teams for major projects. His primary specialty is the project management of feasibility studies, environmental investigations and permitting processes for energy and infrastructure facilities, and urban developments. He is a certified Commissioner Chair under the Ministry for Environment ‘Making Good Decisions’ programme and regularly sits as a decision maker in this capacity. Stephen is also a process and meeting facilitator with a focus in co-ordinating community-based option assessment processes for planning issues, often utilising multi-criteria evaluation methodologies. 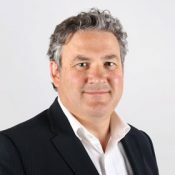 Stephen is the founding director of Environmental Management Services, which merged with Mitchell Partnerships Limited in 2016 to form Mitchell Daysh. Rob has 37 years’ experience in coastal engineering, risk from natural hazards, and the impacts of climate change on coastal communities and infrastructure. Rob is the Programme Leader for NIWA’s Climate, Atmosphere & Hazards Centre, coordinating research and consulting activities associated with weather-related and tsunami hazards and the risks they pose. 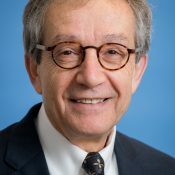 He has published papers on sea-level rise, coastal hazards (including tsunami), coastal adaptation planning and RiskScape. 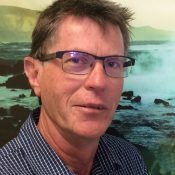 Rob has been the technical lead on several recent projects including infrastructure projects, coastal risk exposure reports for the Parliamentary Commissioner for the Environment (2015), Implementation Guidance on NZCPS Hazard Policies (DoC) and Lead Author of the 2017 coastal guidance for local government published by the MfE. 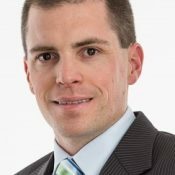 Andrew joined the Insurance Council of New Zealand (ICNZ) as the Regulatory Affairs Manager in January 2018. He is responsible for advocacy on regulatory issues and working with members, government and stakeholders to promote policies that support a strong and sustainable insurance industry people can trust and have confidence in. Andrew is responsible for the Regulation Committee. Andrew has a policy and regulatory background with experience in policy development, legislative/regulatory development and implementation, stakeholder engagement, and regulatory advocacy. 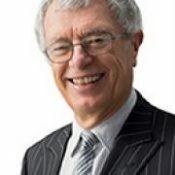 Prior to ICNZ his work had a focus on energy and natural resources issues within the Ministry of Economic Development and more recently the Petroleum Exploration and Production Association of New Zealand. Andrew has an LLB and a BA (History) from Victoria University of Wellington. Roger Blakeley is a Councillor at Greater Wellington Regional Council. He is an Elected Member of Capital and Coast District Health Board and a Consultant. Experience as a director on Crown Entity Boards including Fire Service Commission, Lotteries Commission, Hillary Commission, Interim Board Tamaki Development Co. Knowledge of how central government works, from chief executive experience. Understanding of Auckland, as Chief Planning Officer of Auckland SuperCity Council. Regulatory knowledge, including CE-level leadership of Resource Management Act 1991. Experience of working in local government, at chief executive level. International experience, as member of International Advisory Committee on next New York Plan. He is an independent consultant after 26 years experience at Chief Executive level in central and local government. Karen has been the Chief Executive of Wellington Zoo for 10 years and is a Member of the New Zealand Order of Merit MNZM for Business and Animal Welfare. 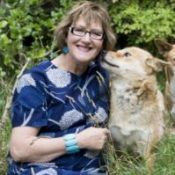 Karen is a member of the NZ IUCN Committee, the NZ Animal Behaviour and Welfare Consultative Committee, the Zoo and Aquarium Association Australasia Board and the Sustainable Business Council Advisory Board. Karen won the 2009 HER Business Wellington award for outstanding business leadership and sustainability and the 2010 HER Business NZ National award for outstanding business leadership. Karen was 2010 Wellingtonian of the Year in the environment category. Karen was a finalist in both the 2014 and 2015 Westpac/Fairfax Media NZ Women of Influence Awards in the Social Enterprise category and the Board and Management category respectively. 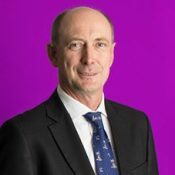 Stephen is the chief executive of Infrastructure New Zealand the peak infrastructure body in New Zealand. He is an expert on the infrastructure sector with a deep understanding of infrastructure governance, strategy, regulation, funding, delivery and management. He has undertaken extensive research of infrastructure policy implementation and delivery within New Zealand and overseas. Particular areas of expertise include, infrastructure industry leadership, productivity, advanced procurement, investment analysis, communications and stakeholder relationship management. Paul joined the Board of TrustPower in January 2016 as chair. He is a senior executive at Morrison & Co, the manager of Infratil, Trustpower’s largest shareholder. 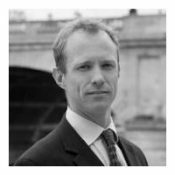 Paul first joined Morrison & Co in 1998, rejoining in 2015 after 4 years as general counsel at Contact Energy. He has been a director of various Infratil group companies, including Wellington International Airport and iSite Media. He is currently an independent director of listed resthome operator, Arvida Group. Paul has a Bachelor of Laws from Victoria University and a Masters of Business Administration from Columbia University. Sam’s experience stretches across climate change, environmental management, public service and hill country farming. He worked for the Environmental Protection Authority 2013-15 on the Tukituki Catchment Proposal and Ruataniwha dam, before returning to grassroots farming as a shepherd on his family farm in Hawke’s Bay. Sam has participated in both Kellogg and Nuffield rural leadership programmes, which led him to discover the regenerative farming movement. Upon returning from overseas he joined the Hart family at Mangarara – The Family Farm helping manage a mixed enterprise farm. He has since become an advocate for regenerative farming in New Zealand, helping connect diverse groups of farmers, researchers, policy makers and environmentalists to the multiple benefits offered by shifting to a regenerative paradigm. 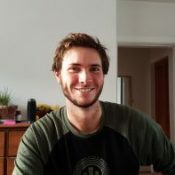 Sam also continues eight years of voluntary climate change work with Generation Zero, bringing agro-ecological and social systems perspectives to the legislative and policy development under the Zero Carbon Act. ROBIN KUNDIS CRAIG is the James I. Farr Presidential Endowed Professor of Law at the University of Utah S.J. Quinney College of Law in Salt Lake City, Utah, USA, and affiliated faculty of the Wallace Stegner Center for Land, Resources, and the Environment and the Global Change and Sustainability Center. 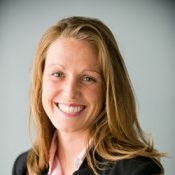 She also serves on the Executive Board of the University of Utah’s Water Center. Professor Craig specializes in all things water, including the climate change and water; the food-water-energy nexus; water quality and water allocation law; and marine protected areas and marine spatial planning. She is the author, co-author, or editor of 11 books and over 100 law or science articles and book chapters. Professor Craig is an elected member of American Law Institute and a member of the IUCN’s World Commission on Environmental Law. She teaches Environmental Law, Water Law, Ocean & Coastal Law, Toxic Torts, and Property. 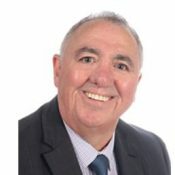 Martin Williams has over 20 years experience practising in resource management and local government law. He has represented a wide range of private and public sector clients at local authority and appeal hearings, appearing as counsel in a number of leading Environment and High Court cases as well as in the Court of Appeal and Supreme Court. Dr Marie Brown is the Practice Leader: Policy with The Catalyst Group, an environmental management consultancy, the latest role in a career that has included working in local government, national and local NGOs and in the private sector. Marie has a background in science and law including a PhD from the University of Waikato. Her doctoral studies involved an extensive analysis of the use of ecological compensation and biodiversity offsets under the RMA. 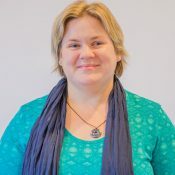 In research roles and through books, reports and peer reviewed articles published since, Marie has undertaken national-scale analyses of a wide range of issues from biodiversity loss to RMA implementation, environmental law enforcement to the prospect of biodiversity banking in New Zealand. Marie is a Senior Associate of the Institute of Governance and Policy Studies at Victoria University. In her present role, Marie provides policy related advice (covering design, implementation and evaluation) to a range of clients including central and local government, iwi, the private sector and conservation organisations. 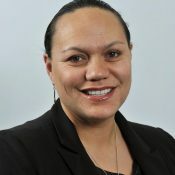 Sheena is of Ngāti Kahu, Te Aupouri, Ngāti Kuri and Te Rarawa descent and has practised as a lawyer, lecturer and consultant specialising in Treaty issues, resource management and Māori land law. 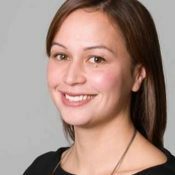 Sheena currently works as a Consultant providing professional advice primarily focusing on kaupapa Māori encompassing law and environmental policy and planning. 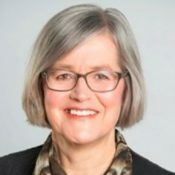 She has been an Independent Hearings Commissioner since 2011 appointed to the Auckland panel and is frequently appointed to hearing panels to hear and decide applications for resource consent, private plan changes and notices of requirement. Sheena was recently appointed to the Waikato Healthy Rivers – Wai Ora: Proposed Plan Change 1 hearings panel. 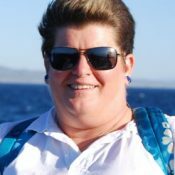 Sheena brings a high level of expertise in kaupapa Māori and environmental management from a te ao Māori (Māori worldview) perspective. She is certified in the Ministry for the Environment’s Making Good Decisions programme with a chairing endorsement. Rotorua Lakes Council has appointed Gina Rangi as its new kaiwhakahaere, or general manager Maori. Ms Rangi, a lawyer, has specialised in working with Maori communities on Treaty of Waitangi and resource management matters for the past 17 years. She is also a director of geothermal and energy company MB Century and trustee for farming and geothermal trust Tuaropaki. Council chief executive Geoff Williams said Ms Rangi’s appointment heralded a new and important step in the council’s journey to develop its bicultural capability and work effectively with Te Arawa. Madeleine holds an LLB and a BA majoring in Political Studies from the University of Otago and Charles University Prague. Prior to joining EDS, Madeleine worked in the resource management team at a major law firm. Madeleine manages EDS’s submissions and litigation programme. She has appeared for EDS in the Environment Court, High Court, and Court of Appeal. She contributes content to EDS’s policy papers and community guides and presents at EDS’s community workshops. Madeleine also represents EDS on the Land and Water Forum and the Biodiversity Collaborative Group. Alongside her legal role, Madeleine is also programme developer and manager for the annual Australia-New Zealand Climate Change and Business Conference. Outside of EDS Madeleine sits on Environmental Advisory Boards for Watercare Auckland and the Sustainable Business Network’s Million Metre Streams Project. In her free time and on mornings before work she enjoys being out in the surf or up in the mountains. 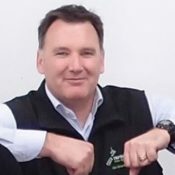 Chris established Water Matters in 2016 after a decade representing the horticulture industry on water and resource management issues as Horticulture New Zealand’s Manager for Natural Resources and Environment. Chris has a unique background in freshwater resource management planning including policy development and its application, and technical expertise. He is a founding member of the Land and Water Forum and a participant in the National Objectives Framework Reference Group. 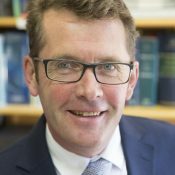 He has represented fruit and vegetable growers on New Zealand’s most significant freshwater and resource management issues.